Palestine Advocacy Project President Jake Chase-Lubitz represented the organization at this year’s Harvard Arab Weekend conference. He spoke on a panel titled “Taking Palestine Mainstream in the US Media,” which explored ways of bringing the conversation about Palestine beyond left/progressives communities to the broader American public. 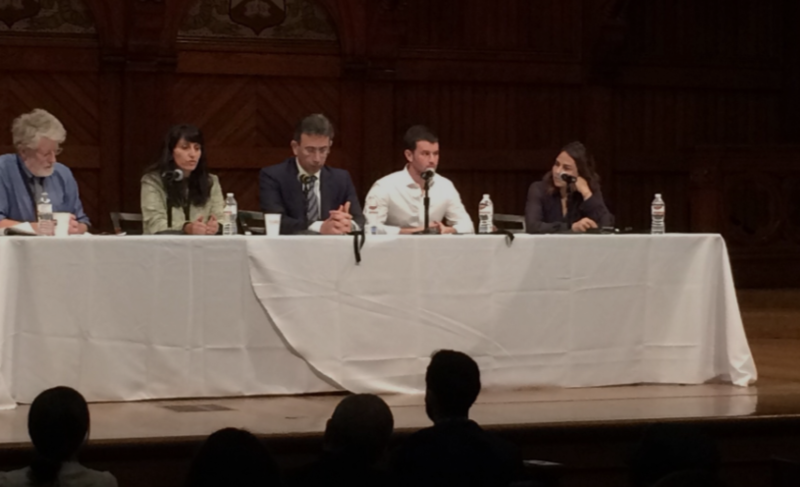 About 200 people attended the panel, which was held in Harvard University’s historic Sanders Theater.